Creative Commons (CC) helps anyone share their knowledge and creativity with simple, legal permissions to build a more equitable, accessible and innovative world. CC works with global communities to create a vibrant, usable commons powered by collaboration and gratitude. We are a growing global movement, helping people share and engage in collective action. CC licenses and public domain tools have been applied to more than 1.2 billion works across 9 million websites, and are used by global movements in open education, open access, data, science, arts and culture and more. All are welcome to join the CC Open Education Platform. The National Institute for Digital Learning (NIDL) at Dublin City University (DCU) aims to be a world leader at the forefront of designing, implementing and researching new Blended, On-line and Digital (BOLD) models of education which help to transform lives and societies. We have over 30-years experience of providing Open Education and the NIDL is fully committed to promoting access, equity and social justice through Open Educational Practices (OEP). The NIDL is well connected internationally to other leading research and development centres and in 2019 will host in Dublin the 28th ICDE World Conference on Online Learning. EdShare is a digital content platform designed specifically for the sharing of teaching and learning materials. Whether for your school, collaborative network, institution or organisation and whether you intend to share your resources locally or as OERs. EdShare is flexible and adaptable and can be customised to meet your needs. EdShare allows you to host, organise, share and collaborate on educational materials in one place. Our growing community includes Glasgow Caledonian University, Humbox, Edge Hill University, University of Southampton and University of Glasgow. EdShare is built on the world-leading software EPrints, both of which are managed by EPrints Services. We are a not-for-profit team working within the University of Southampton Electronics & Computer Science school. With the mission to power any video experience, Kaltura’s online video platform is deployed globally across thousands of educational institutions, media companies, service providers, and enterprises, leveraging video to teach, learn, communicate, collaborate, and entertain. Kaltura makes education more interactive, engaging, and accessible with a unified video platform. From flipped classrooms to live sports broadcasts, Kaltura powers the latest trends in teaching and learning, libraries, and elsewhere on campus with video that can be accessed anytime, anywhere, from any device. Our live and on-demand video products include a market-leading lecture capture solution, social video portal, integrations with learning management systems, video capture solution, and more. Kaltura is committed to a core value of openness. That’s why we have embraced and championed industry-wide standards for openness. Kaltura initiated the Open Capture Standard, an industry-wide video capture standard under the aegis of the IMS Global Learning Consortium. Kaltura complies with and supports the IMS Caliper Analytics Learning Management Framework and the Experience API (xAPI), so our clients can easily combine video analytics with any other form of student data for a holistic view, free of any proprietary systems. In addition to our commercial software and our Video Platform as a Service offering, Kaltura offers an open-source online video platform, the Kaltura Community Edition. Kaltura is the initiator and backer of the world’s leading open-source video-management project, which is home to more than 150,000 community members. Pgogy Webstuff are Technological and Pedagogic outfitters giving you not just a website or a web service, but a tailor made electronic outfit. We can Moodle, we can do WordPress, we can do Drupal, we almost always do open, we can do Digital Humanities, we can do repositories, we can do MOOCs. Examples? Sure! We made the first MOOC which released all of it’s materials as OER. We made solvonauts.org, the only true OER search engine. We made openjoyce.com. We make a lot of things. What can the penguin do for you? 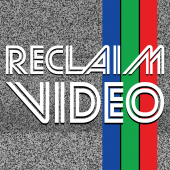 ReclaimVideo is a cutting-edge media company that brings the classroom into your livingroom. 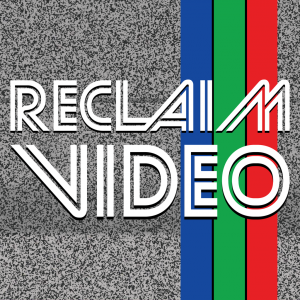 We specialize in renting a wide-range of video equipment, in particular VCRs and VHS tapes. We also have a limited selection of Betamax tapes and players. Camera equipment rentals available on a case-by-case basis. What is the viability of introducing open textbooks in UK higher education? Through the testing of two proposed models: OpenStax and OpenTextbook Network approaches, who have seen impressive growth and impact in the North American context we will aim to test the transferability of these models to a new context, namely that of the UK. How does the context differ? What are the methods for uptake that are transferable? What can be generalised for adoption elsewhere?